Objective News Report will be doing a debate fact check tonight. 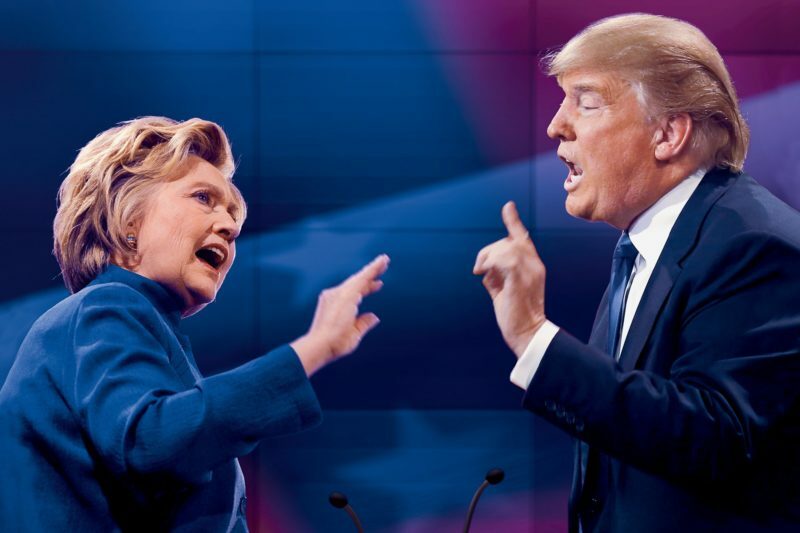 Check back throughout the debate for in depth, unbiased analyses of statements made by both Hillary Clinton (D) and Donald Trump (R). Debate Fact Check #1: How many American citizens die from guns per year? During the debate, Hillary Clinton stated that “33,000 die from guns” every year in the United States. According to the Centers for Disease Control and Prevention, in 2013, there were a total of 33,636 gun deaths due to “injury by firearms.” This includes homicides, suicides, negligence, and deaths with “undetermined intent.” Clearly, Hillary Clinton’s cited statistic is accurate; however, it is uncertain how stricter gun control laws would impact that total number of gun deaths in America. ONR rates Clinton’s statement TRUE. Debate Fact Check #2: How many illegal immigrants are currently in the United States? During the debate, Hillary Clinton stated that there are 11 million undocumented immigrants and 4 million children of undocumented immigrants living in the United States. According to the Department of Homeland Security, there were an estimated 11.4 million undocumented immigrants living in the United States in 2012. According to the Pew Hispanic Research Center, in 2009, there were approximately 4 million children of undocumented immigrants living in the United States. So, although Clinton’s statistics may be slightly dated, they are an accurate representation of the number of undocumented immigrants and children of undocumented immigrants currently living in the United States. ONR rates Clinton’s statement TRUE. Debate Fact Check #3: Is Obama deporting “millions” of undocumented immigrants? During the debate, Donald Trump stated that President Barack Obama is deporting “millions and millions” of undocumented immigrants. Trump went so far as to say the deportations are happening “big league.” According to the Department of Homeland Security, President Obama deported upwards of 2.5 million undocumented immigrants between 2009-2015. In fact, the Obama Administration has deported more undocumented immigrants than any other Presidential Administration. ONR rates Donald Trump’s statement TRUE. Debate Fact Check #4: Did Hillary Clinton’s State Department lose $6 billion? During the debate, Donald Trump stated the 6 billion dollars went missing from the State Department while Hillary Clinton was Secretary of State. Hillary Clinton denied this claim, stating that it has been “debunked.” Trump’s original claim is very loosely based in reality. In 2014, the inspector general of the State Department alerted the State Department that $6 billion had been unaccounted for. However, it is pretty clear that the money did not go “missing” in some sort of nefarious government conspiracy. The inspector general cited “poor contract file administration.” So, while one can be critical about to poor clerical skills of the State Department, it is beyond unfair for Trump to claim that Hillary Clinton’s State Department nefariously “lost” $6 billion, or that Hillary Clinton was somehow directly involved in the errors. ONR rates Trump’s claims MOSTLY FALSE. Debate Fact Check #5: Did Donald Trump support the Iraq War? During the debate, Hillary Clinton stated that Trump supported the Iraq War, despite Trump’s consistent denial of such support. On an appearance on The Howard Stern Show, Trump said, “Yeah, I guess so,” when Stern asked Trump if he supported the Iraq War. Though Trump sounded hesitant and somewhat disinterested, he did say he supported the Iraq War. However, it should be noted that The Howard Stern Show is not known for it’s informative political commentary. So while Trump did state he supported the Iraq War, he sounded like a person who was disinterested and uninformed. ONR rates Clinton’s statement TRUE, BUT NEEDS CONTEXT. What is truly FALSE is Trump’s insistence that he full-throatedly denied the Iraq War.